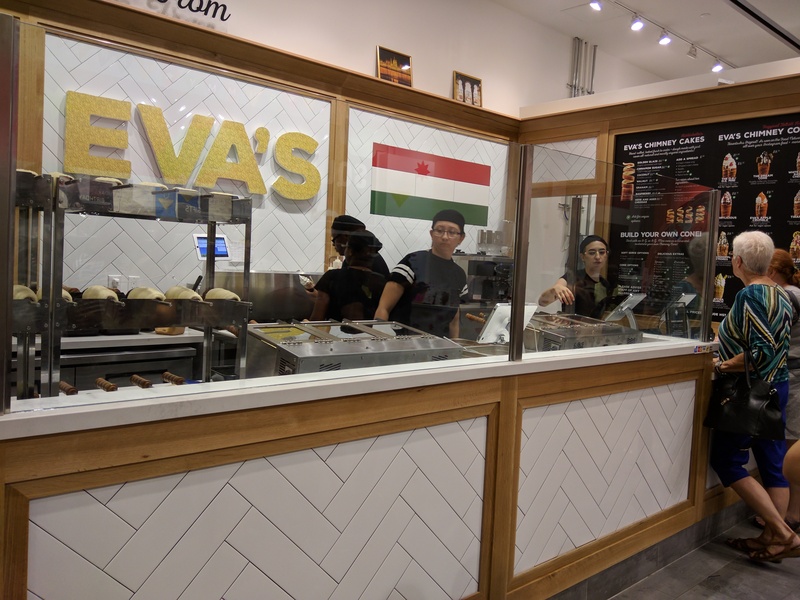 Eva’s Original opened recently at Square One. Right next to Simon’s. 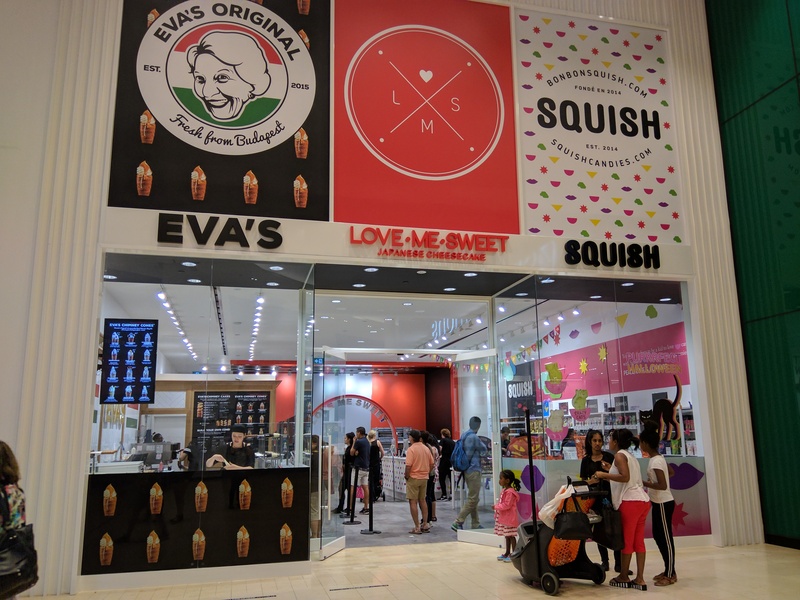 I have never heard of Eva’s before, they serve real soft ice cream in rolled dough called chimney cones. The chimney cones are dusted with cinnamon, sugar, etc. and then baked on a rolling rotisserie. 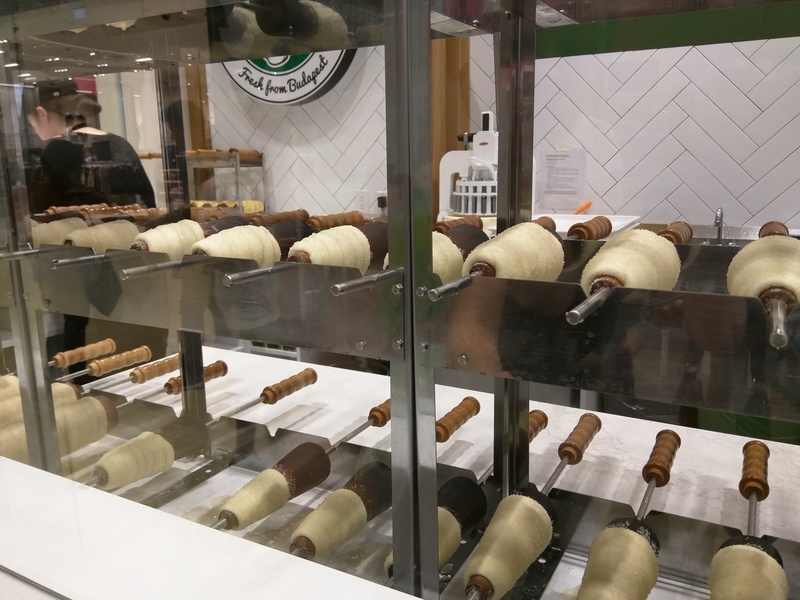 The whole set up at Square One is quite neat as you can see the whole making of your ice cream chimney. The menu topping offerings are very diverse. 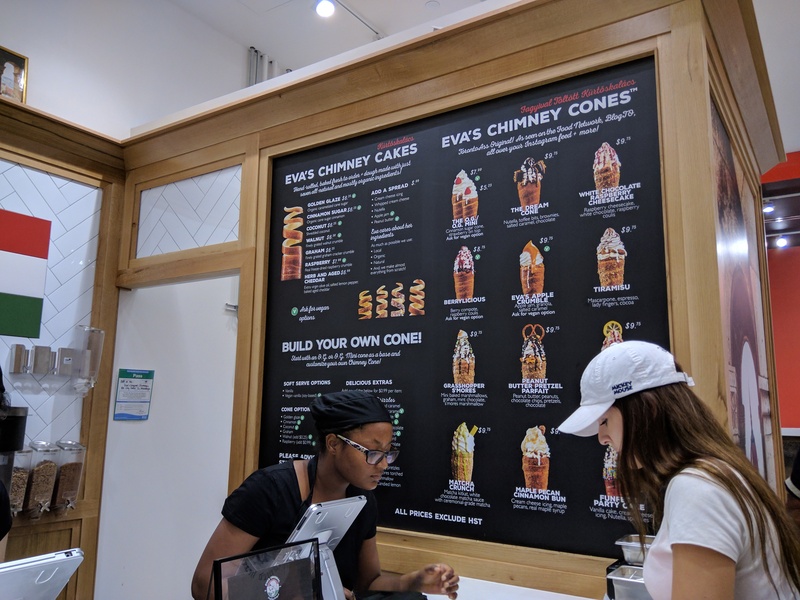 The cones are not cheap tho, approximately $10 per cone. The dough is supposed to be warm and soft, but my chimney seemed a bit burnt, was cold, hard and tasted burnt as well. 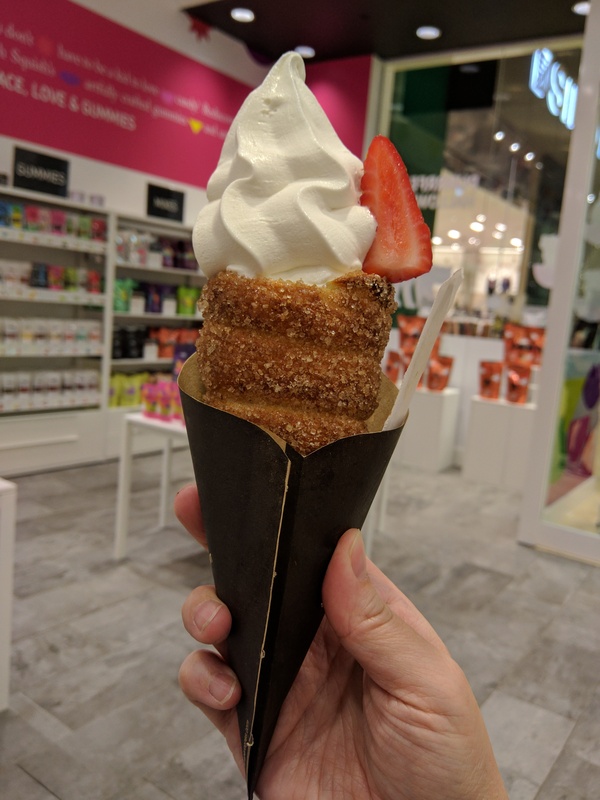 I’ll have to find a way to ensure I get a fresh off the press cone.. The ice cream was high quality. Going back today to try another flavour. Oh yeah, as you could see from the photo above, Love Me Sweet Japanese Cheesecake is coming too!